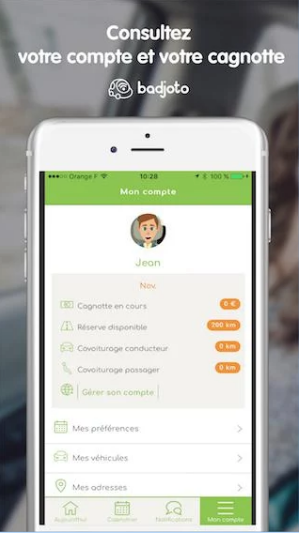 Badjoto is the easy daily carpooling app. We've implemented the iOS/Android app entirely. Badjoto offers a flexible solution , with no effort and suitable for your daily travels. We've conceive the Badjoto app with the hybrid technologies Ionic2 and Ionic3 later. We've also developped the Android - Java and iOS - Objective-C plugins to integrate the differents solutions of geofencing, geolocalisation and beacons detections.